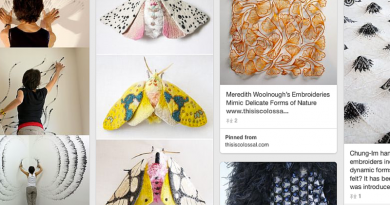 I told you about the Knitting in the Waiting Room project recently, and also explained a bit of the background inspiration in my earlier article Whenever Shawl Design Inspiration Hits You. 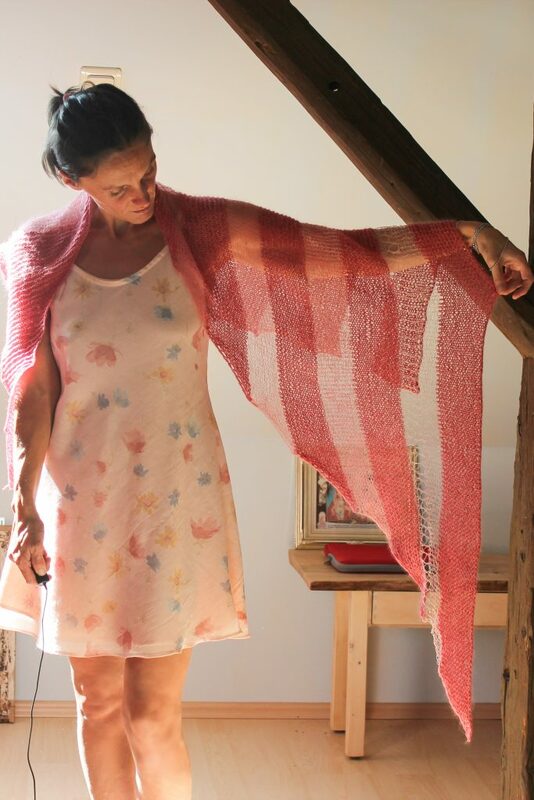 I’m very happy to present the first shawl knitting pattern from this project: The Afraid of Heights shawl. Afraid of Heights is a triangular shawl worked sideways using three different yarns (lace weight and cobweb weight in different fibers). It’s an easy shawl pattern with written instructions suitable for killing time in a productive way in any waiting room you might come across. Thank you again for another beautiful pattern!! I’m still working on an older project but I cannot wait to try one of yours. You have so many gorgeous works that I just don’t know where to start….but I will…somewhere.